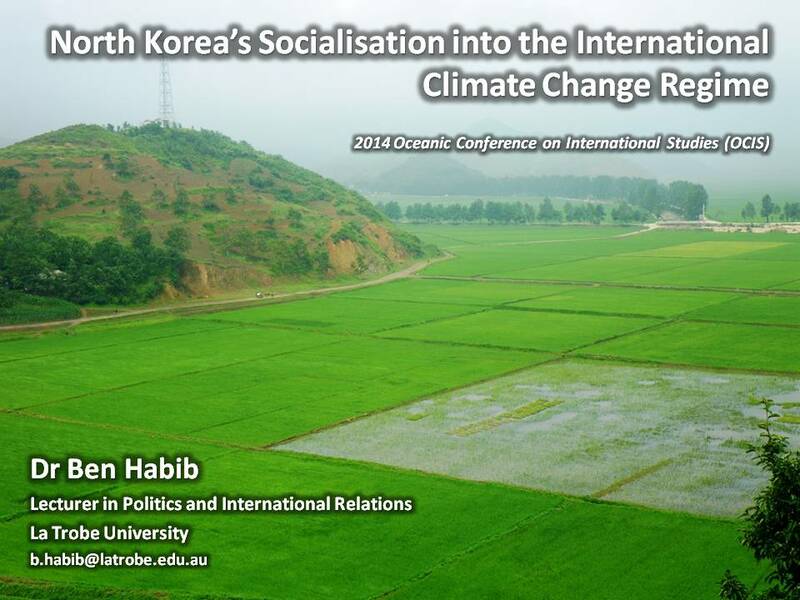 In this presentation I explore the North Korean government’s commitment to the UN Framework Convention on Climate Change through the prism of institutional socialisation theory. Despite complying with its obligations as a party to the United Nations Framework Convention on Climate Change (UNFCCC), North Korea is not an active member of any specific negotiating bloc and has been a sporadic attendee at UNFCCC Conference of Parties gatherings. To what degree, therefore, has North Korea been “socialised” into the international climate change regime? The presentation examines the North Korea case study by drawing on the three processes of institutional socialisation—mimicking, social influence and persuasion—identified by Alastair Iain Johnston in his Social States: China in International Institutions, 1980-2000. It finds that North Korea’s socialisation into the international climate change regime is a work in progress. The North has complied with its obligations under the UNFCCC and established nascent domestic governance structures to facilitate compliance. The North’s treaty compliance is likely driven by strong material reasons to bandwagon with the treaty, rather than the social benefits of in-group cooperation with other treaty parties. Further research will help to clarify these findings. 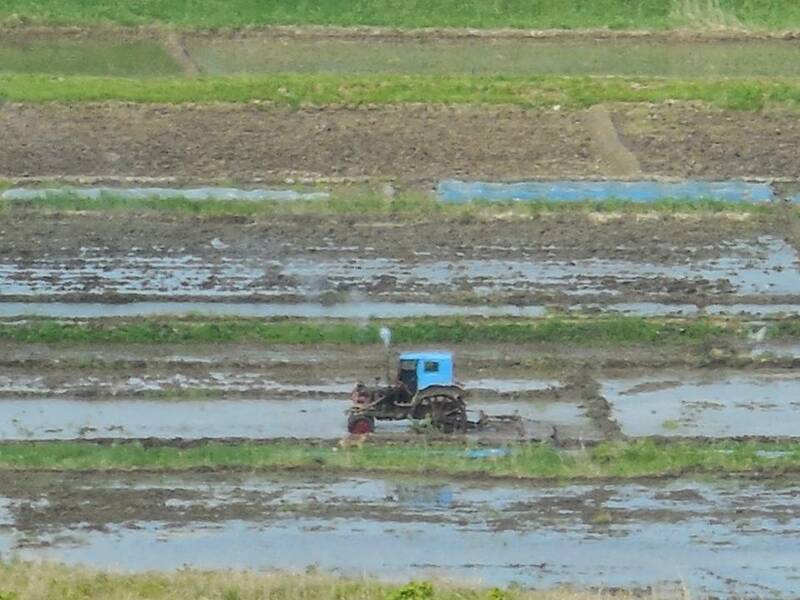 Chollima tractor plowing rice paddies at Tumengang, DPRK (photographed by the author, June 2013).